Borrowing the IsoSpeed decoupler and other vibration reducing technology from the Domane, the Silque uses size-specific carbon layups to provide an equally smooth ride across all frame sizes. Since they weren't borrowing an existing frame and slapping WSD components on it, the clean slate allowed them to design the geometry from the ground up for women wanting both performance and comfort. A sloping top tube and shorter seat tube provide good standover (and a lower center of gravity), while increased stack height puts them in a slightly more upright position. 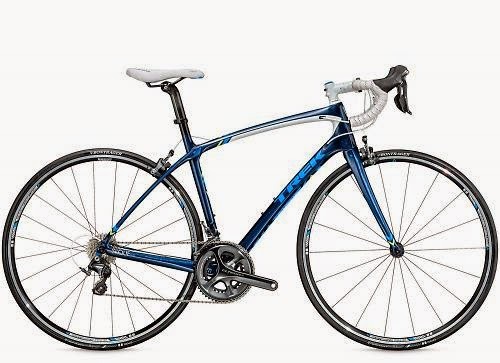 Trek are offering four models: Silque, Silque SL, Silque SLX, and Silque SSL (Project One). Each are made from OCLV carbon fiber with size specific carbon fiber layups. Sizes 44-56cm. 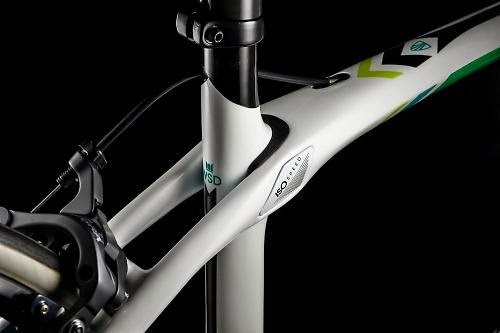 Each model shares familiar Trek features such as the E2 tapered head tube, BB90 pressfit bottom bracket, internal cable routing compatible with electronic groupsets, Duotrap compatibility and on the two cheaper models: hidden mudguard mounts. All have the 3S integrated chain guard mounted just above the bottom bracket to prevent dropped chains. 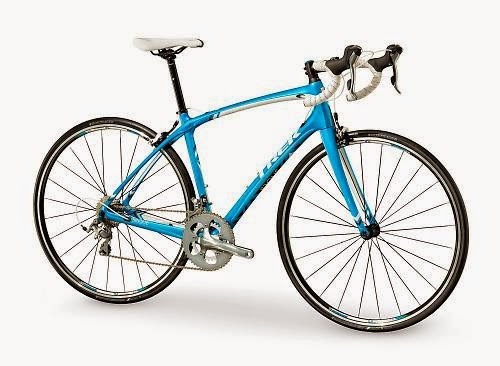 The Silque offers a Shimano Tiagra 10-speed built bike with Bontrager tubeless ready wheels and 25mm tires and Bontrager race bars and stem and Affinity 1 WSD Saddle. The Silque SLX features an Ultegra 11-speed groupset with Bontrager Race wheels, 23mm tires and Bontrager Race X Lite finishing kit. And you can customize your own bike through Trek's Project One bike builder. For the handling, they put it smack in between the racy Madone and the all-day Domane. The chainstay length splits the difference, so it's more stable at speed or on gravel than the Madone, but a little snappier than the Domane. It shares the Madone's BB drop, which keeps everything a bit lower to the ground for quicker turning response.